"Mr. Completely" made its debut in the TAB touring repertoire on the surprise July 4th, 2001 holiday performance at Higher Ground. The flood of new material on this night was amazing even for Trey’s typically prodigious output; “Mr. Completely” was one of nine compositions debuted at this performance including TAB work-horses “Alive Again,” “Cayman Review,” Money Love and Change” and “Simple Twist Up Dave.” Once in Trey’s concert rotation it established itself as an immovable object: “Mr. Completely” has been performed at over half of TAB gigs since the debut. The first ten live performances by Trey’s band were powerful but relatively compact with none clocking in over ten minutes. Then, on 7/26/01 in Atlanta the song took a major turn. This epic 48+ minute version propelled the song into a role as one of TAB’s primary improvisational vehicles and concert centerpieces; with both extensive individual soloing, stop-start jamming as well as full-group improvisation, you don’t want to miss this one! While “Mr. Completely” remained a diverse tool in the early years of TAB – it wasn’t always used as improvisational canvass and sometimes filled a compact slot – fans of the expansive jamming of Trey’s ensemble will want to check out profound versions including 8/2/01 Philadelphia, 6/1/02 Las Vegas (anchoring a three-song second set), 6/21/02 Camden (26+ minutes, on the heels of a half-hour+ “ML&C”), 5/31/03 (with Carlos Santana), or 9/18/04 Austin (with a slick segue into the first “Stash” with horns in over a decade). Not content to ease its way into the Phish setlist, “Mr. Completely” made a major splash on its 7/15/03 debut. Opening up the second set, “Mr. Completely” set in motion a massive jam that lasted almost 45 minutes, a virtual symphony that included detours into “Low Rider,” “BBFCFM” (three times), “Buried Alive” and “Ha Ha Ha” before coming full circle to the song’s conclusion. When the dust had settled, this show was one of the most popular downloads from 2003 and was made available as a Live Phish CD release. A huge hit with fans, “Mr. Completely” nevertheless has made only this single appearance with Phish to date. “Mr. 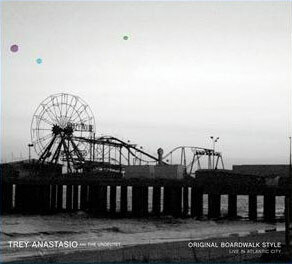 Completely” – and TAB as a whole – went through somewhat of a rough transition phase with the advent of Trey’s 70 Volt Parade project in 2005. 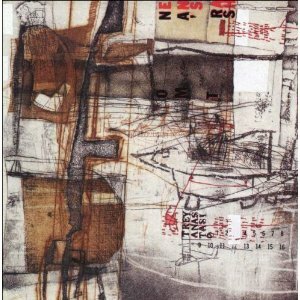 Absent the song’s signature horns and with an almost entirely new ensemble, the song had difficulty finding a cohesive voice and, frankly, some versions in 2005 were rough and hollow, especially in the spring and summer. Visit 4/1/05 Higher Ground to witness the early growing pains, 5/3/05 Columbia, SC for a dark and spacey rendition, the rocking-and-moaning 7/24/05 offering at the 10,000 Lakes Festival, or the head-banging, cacophonous noise from 10/28/05 Vegas for examples from this period. Perhaps the most dynamic takes on the song were offered by Trey, Mike and The Benevento/Russo Duo (a.k.a. G.R.A.B.) during the summer of 2006. Each and every one of the twelve G.R.A.B. versions of “Mr. Completely” is worth checking out. If you are a fan of off-the-cliff type-II improvisation, create a play list of these dozen versions and enjoy three-plus hours of pure bliss. Unlike early (or recent) TAB versions with horns that often achieved their jamming ends through cycles of horn and guitar soloing on top of the rhythm section, G.R.A.B. brought true group improvisational heat, with Mike often at the center of the action. It isn’t at all an exaggeration to say they are all worthwhile – excepting perhaps the unusually truncated 7/8/06 Darien version – though “highlights” can be found in offerings on 6/28/06 Raleigh, 7/1/06 PNC, 7/6/06 Great Woods, 7/14/06 Allgood Festival, and 7/19/06 Cleveland. Trey’s under-rated fall ‘06 tour also brought interesting versions including: 11/3/06 (Boone, NC, a powerful 18-minute excursion anchoring a totally-off-the-radar four-song second set); 12/31/06 (Atlantic City, NJ, short but dynamic); and 3/8/07 (Fort Lauderdale, FL, TAB’s last show for the subsequent seventeen months and featuring an extended percussion jam). The incarnations of Classic TAB (with and without horns) since Trey’s return to the stage in fall 2008 have settled into a middle ground between short-and-sweet and over-the-top jam-fests. Usually falling in to the eight-to-ten minute range, recent versions have jammed, but within a tight and consistent orbit; visit representative recent versions from 8/7/08 (first post-”vacation” gig in Brooklyn), 2/14/10 (Red Bank, NJ) and 11/12/11 (Bear Creek Music Festival). Curiously, “Goodbye Head” and “Mr. Completely” were paired as one-two combos on seven straight shows from 2/20/10 through 2/28/10. 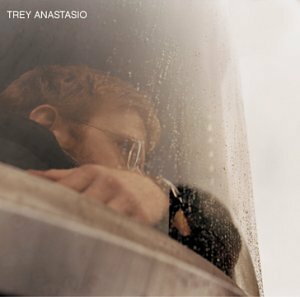 To visit the song’s humble roots from the dustbin of Trey’s imagination, be sure check out the elemental reading on One Man’s Trash, or the more fully-developed version on Trey’s self-titled studio release. For a rocking live version in a more low-key setting, seek out recordings of the Jennifer Hartswick Band on 11/7/03 at The Lion’s Den in New York, with Trey sitting in on guitar.